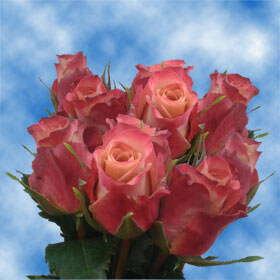 Gypsy Curiosa are one of the Best Fresh Market Flowers,, used to communicate friendship, happiness and trust. Mustard Earth Tones With Red Edges Roses are perfect for birthday parties, weddings and any kind of celebrations during fall season. Globalroses.com takes every measure possible to insure that our facilities practice and manage environmentally procedures to keep nature safe. Our Greenhouses use these measures to grow the most beautiful blossoms nature can provide all year round. 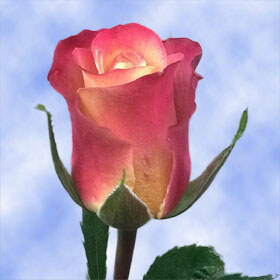 When you are in need of nature's wondrous gifts Globalrose.com's online store will be there to take your orders. We ship exclusively with FedEx because we trust them to get your orders to you on time and in unspoiled condition. Your Mustard Earth Tones With Red Edges Roses will arrive to your doorstep with their buds closed and will only need as few as two to three days to fully blossom.